This summer, MBA ‘19 candidate Matt Morris literally worked on Christmas in July. As an e-commerce marketing intern for Mattel, he helped the toy maker generate strong demand for its products during the upcoming holiday season by enhancing the brand’s online experience for Amazon shoppers. In July. Like most MBA students who spend the summer working at Fortune 500 companies, Morris is sharpening the skills gained in the classroom through real-world experience — all while growing his network. “This summer has been an experiential crash course in e-commerce leadership. I’ve learned so much. At the same time, I am also motivated because there are so many opportunities left to explore,” says Morris. A published writer, Morris taught English in South Korea before moving to Los Angeles. There, he worked for Sony Pictures Entertainment, focusing on emerging cinema technologies, in particular streaming platforms that are popular in East Asia. 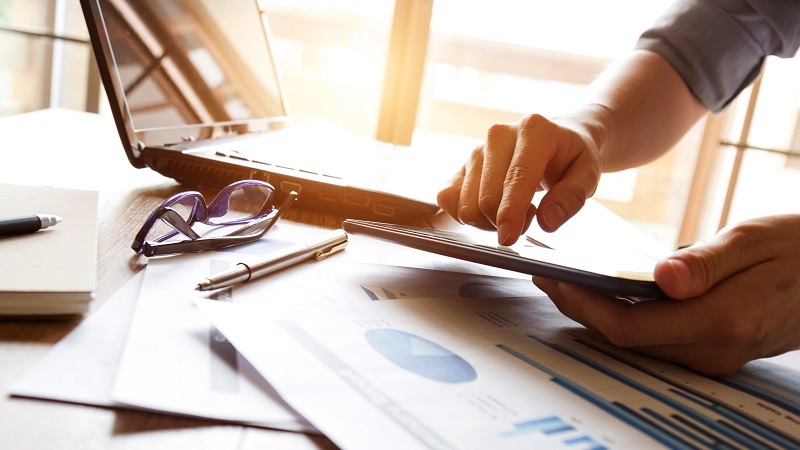 Morris sought an MBA to gain a better understanding of how to leverage marketing data to complement his brand storytelling skills — and to gain even more international experience. Morris applied to the biggest business schools in Southern California, but it was the small class sizes at the UCI Paul Merage School of Business drew him in. “If you’re looking for experience and skills to put on your résumé, you can just reach out and grab it here,” he says. Already, Morris has participated in two consulting opportunities at the Merage School. The first was interviewing shoppers just outside of the Mall of America in Minnesota for the clothing brand 5.11 Tactical to learn more about their customers. Closer to home, Morris is helping Irvine-based video game creator Blizzard Entertainment develop plans to replicate UCI’s eSports Arena on other college campuses. 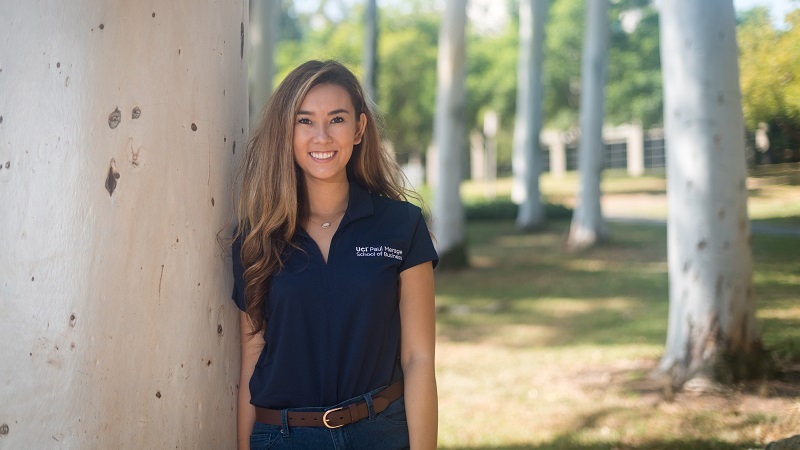 “There are more opportunities for me to get leadership positions at UCI and to be more entrepreneurial,” says Morris, who serves as executive vice president of the Marketing Association at the Merage School, as well as a student ambassador. Last spring, Morris was on a team of four Merage School students that made it to the Hong Kong UST Global MBA Challenge. 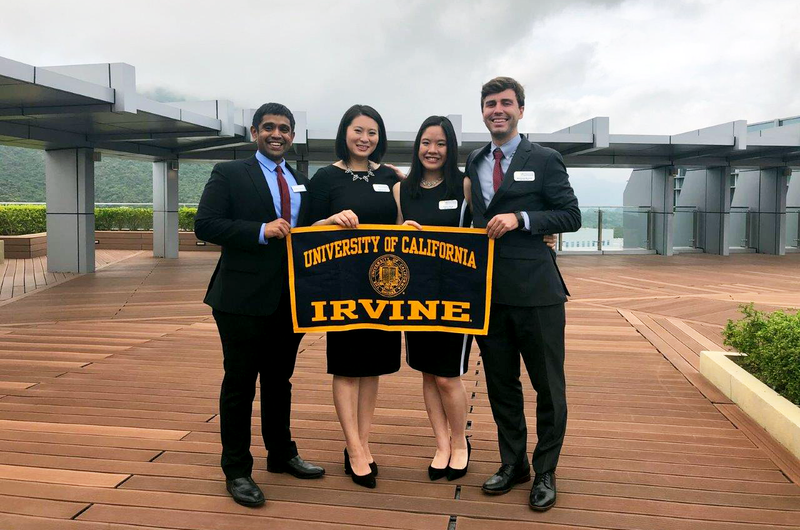 Only two North American teams qualified for the the case competition finals in Hong Kong. Although they did not win the $20,000 prize, Morris says it was an incredible learning experience to compete alongside some of the world’s brightest MBA students. 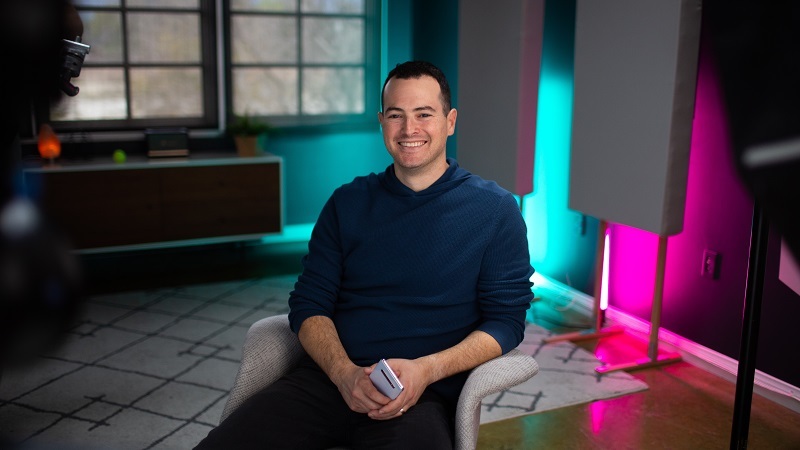 One of Morris’ entrepreneurial ideas was to combine his storytelling skills and background in digital media to create a podcast geared to MBA students. 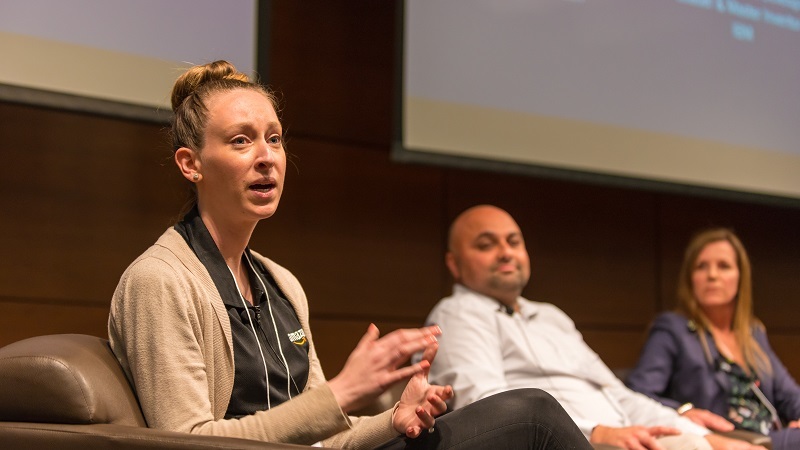 Zot Talks, inspired by NPR’s “Planet Money,” has released six episodes so far, with guests ranging from the school’s admissions director to Marc Cosentino, author of the b-school classic Case in Point. The podcast is entirely student run. Morris and fellow MBA candidate Max Lechner ’19 created the show and convinced classmates to provide original music and a logo to brand the endeavor. “We hope that in the future, Zot Talks can be handed off to new students in the pipeline to make it their own,” says Morris. Morris, who is studying abroad in Milan this fall, is a fourth-generation Italian-American, who describes himself as “Olive Garden Italian,” and he recently gained dual citizenship jus sanguinis by proving his Italian descent. For Morris, dual citizenship is one more way to establish himself in the global marketplace — and, of course, one more way to have an adventure.